You’ll want to mark your calendars for the 2017 Holiday Celebration, which is December’s F1RST Friday event. 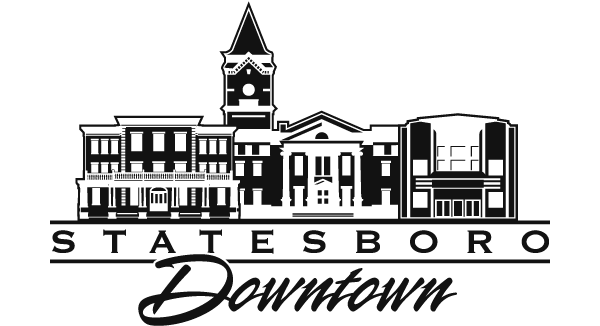 Bring your family and join us for the fun and festivities on December 1, 2017, from 5:30 p.m. – 8:00 p.m. on East Main Street in Downtown Statesboro, which includes the holiday parade with our very special guest, Santa! 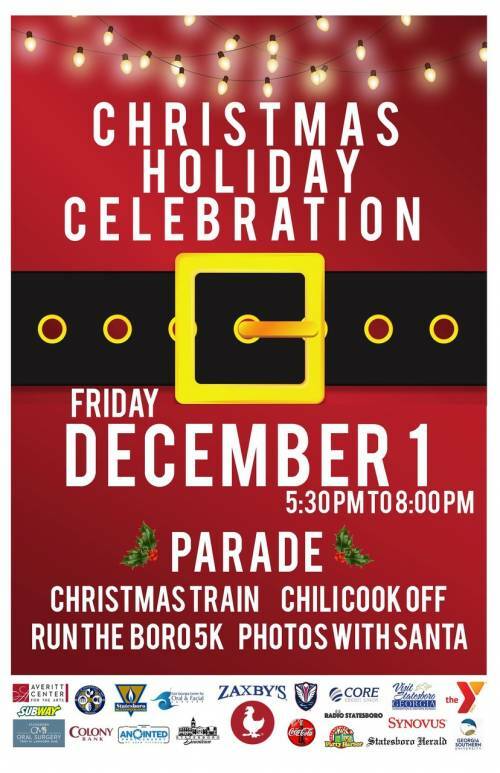 This year’s Holiday Celebration also includes the annual Chili Town Cook-Off. Prepare your winning signature chili recipe for prizes. The 2017 Cook-Off Categories include Overall Best Chili, People’s Choice, Best Decorated, and Best Restaurant Chili. Enjoy the sights and sounds of the holiday season along the streets of downtown with a variety of food and arts & crafts vendors, the Christmas Train, and the 6th annual Run the ‘Boro 5K.